Have you ever been too busy at work that things just kind of pile up? 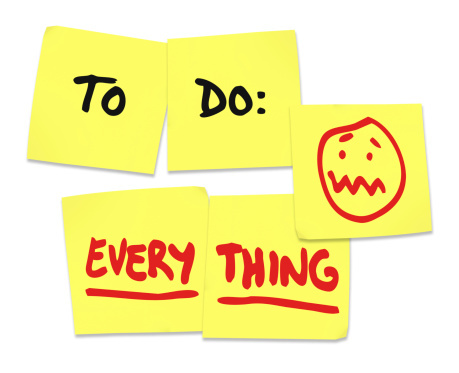 Sooner or later, your “to-do” box is overflowing and you have a backlog that leads to stress and all kinds of other unwanted problems. Well, surprisingly, a similar situation can happen inside your body—and it can be caused by this stress. When your cells are producing proteins, stress can sometimes affect production and proteins become damaged. Like a mistake on an assembly line, the proteins become folded or misshapen. Unfortunately, a buildup of these proteins can result in an increased risk for Alzheimer’s disease, ALS, Huntington’s disease, Parkinson’s disease, and type 2 diabetes. Simply put, a backlog in these proteins can create all kinds of health problems. However, I recently came across some new research that may have uncovered a new mechanism that stores misfolded proteins created in response to stressors, returning them to the production line once you’ve relaxed. Each living cell in your body is like a miniature production line. They create tens of thousands of proteins with specific shapes, serving specific functions. When a cell is stressed, the production line malfunctions and it remodels its strategy to meet the task at hand. The main assembly line for proteins is called the ‘endoplasmic reticulum.” When it backs up, a figurative alarm sounds to slow down production, resulting in proteins being folded. In the case I’m referring to, researchers wanted to find an alternative way to deal with such stresses, so they treated culture cells with a stress-causing agent and separated them into two groups. One group was on the endoplasmic reticulum and the other in a neighboring area called the cytosol. When stress occurred, the endoplasmic reticulum moved the cell ingredients to the cytosol where they were held until the stress was relieved. When the stress was gone, the proteins returned for completion. This new discovery shows cell production could actually be put on hold, limiting any backup and the number of damaged cells being produced. The researchers from Duke University who conducted the study are hopeful the results will shed some light on finding more mechanisms to improve cell production during stress. This can hopefully lead to the further treatment of a number of diseases, possibly including Alzheimer’s, Parkinson’s, and type 2 diabetes. Stress is known to manifest itself in a number of ways physically, and it’s now becoming increasingly apparent that it can play a major role in illness as you age. If this new discovery leads to a way to limit the physical implications of stress and major diseases, it could be a revolutionary finding. Duke University, “Cells Put off Protein Production During Times of Stress,” ScienceDaily web site, September 11, 2014; http://www.sciencedaily.com/releases/2014/09/140911125815.htm.